Discover an exciting new season from Reaktion Books with our Autumn / Winter 2018 catalogue. You can view and download a PDF version of the catalogue here, or email us at marketing@reaktionbooks.co.uk to receive a printed copy. From art, history and philosophy to music, nature and popular science, our new programme covers a diverse array of subjects. It also includes new additions to our popular series of books, including Botanical, Foods and Nations, Lost Civilizations, Critical Lives, Renaissance Lives, Reverb, Earth, Animal, and Edible. Here’s a quick guide to just a few of the highlights. In The Good Brexiteer’s Guide to English Lit, John Sutherland gives a sharply incisive, funny and wise analysis of the deep cultural roots of Britain’s imminent departure from the European Union. Whet Moser's Chicago: From Vision to Metrpolis, in our superb Cityscopes series, takes readers from the very beginnings of the city as an idea, a vision in the minds of its first explorers, to the global city it has become – and offers a local’s perspective on the best and most interesting aspects of Chicago to visitors today. 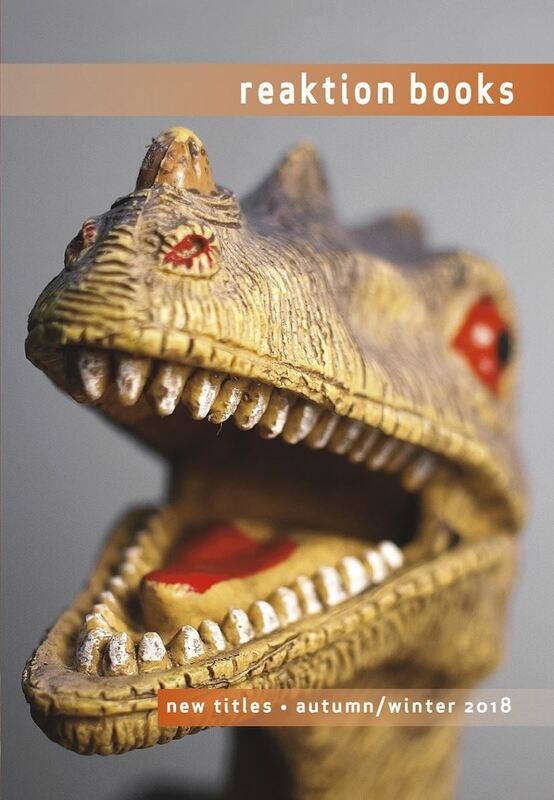 Boria Sax’s Dinomania: Why We Love, Fear and Are Utterly Enchanted By Dinosaurs vividly brings to life the history of our fascination – scientific and imaginary – with the Earth’s long-departed saurian overlords. Drawing is part of growing, and is central to how children come to know the world, themselves and others. Marilyn JS Goodman’s Children Draw: A Guide to Why, When and How Children Make Art is a lively and accessible exploration of the role of art in childhood. Afghanistan has been a land of strategic and cultural significance for millennia, and yet our understanding of it is too often focused on the latest news story, shorn of this context. Jonathan L. Lee’s Afghanistan: A History from 1260 to the Present Day is a magisterial, and yet readable, history of this critical region. The story of light tells the story of the universe. Five Photons: Remarkable Journeys of Light Across Space and Time, by James Geach, is a masterclass in clear and elegant science writing, illuminating the story of stars and black holes, of space and time, and ultimately, of everything. In Great Economic Thinkers: An Introduction – from Adam Smith to Amartya Sen, Jonathan Conlin and a range of outstanding contributors have recovered the so-called ‘dismal science’ for every reader who wishes to know what the best minds have thought about money and work, getting and spending. We hope you enjoy these highlights and the many other fine books we are publishing in 2018.